The XXV World Congress and Postgraduate Course will be held in Torino, Italy! 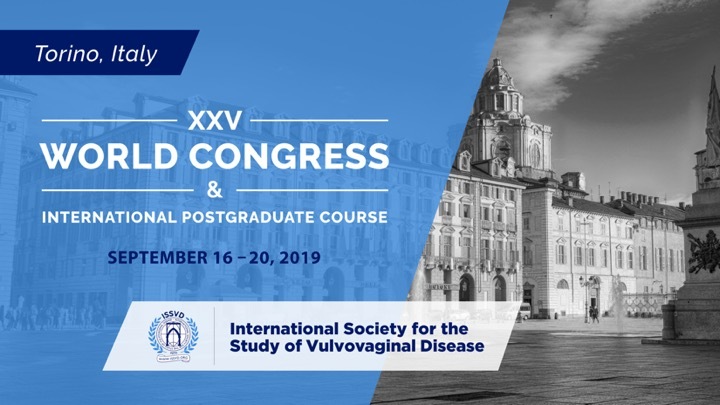 Should I attend the Postgraduate Course, The World Congress or both? All women’s health providers are welcome to attend either one or both of these excellent scientific sessions. The postgraduate course is taught by world renowned leading experts in the various specialties of vulvovaginal disease. The World Congress offers a unique opportunity to hear the most recent updates and advances in the field, as well as, the scientific abstracts of our members, fellows and candidates for fellowship. There are also social events incorporated into the event in order to foster a feeling of fellowship, collaboration and networking opportunities. This activity has been planned and implemented in accordance with the accreditation requirements and policies of the Accreditation Council for Continuing Medical Education through the joint providership of The American College of Obstetricians and Gynecologists and The International Society for the Study of Vulvovaginal Disease (ISSVD), The American College of Obstetricians and Gynecologists is accredited by the ACCME to provide continuing medical education for physicians. The American College of Obstetricians and Gynecologists designates this live activity for a maximum of 39 PRA Category 1 Credits.™ Physicians should claim only the credit commensurate with the extent of their participation in the activity. The American College of Obstetricians and Gynecologists designates this live activity for a maximum of 39 Category 1 College Cognate Credits. The College has a reciprocity agreement with the AMA that allows AMA PRA Category 1 Credits™ to be equivalent to College Cognate Credits. ROOM BLOCKS: Use booking link below to find all available options. A selection of hotels offering preferential rates for ISSVD Conference from €74 to € 159 for a double single use and € 84 to € 179 for a double room. Check availability and book the solution most suited to your needs now! Turin Palace will be the main conference hotel. Do you need a Visa to visit Italy?